Psyonix, the developers of Rocket League, has revealed in an official post exactly what the odds of receiving a certain type of item is from their in-game loot boxes. While this post doesn’t exactly go to the level it could in transparency, it’s a good start and still good for the consumer. To say that Loot Boxes have been controversial is an understatement at the least. Public perception has certainly soured on them, particularly those with seemingly impossible chances of earning some of the more valuable items. Even more controversial are titles that were, essentially, pay to win, even though they were premium-priced AAA games. Eventually, authorities got involved, with some labelling loot boxes as gambling and placing restrictions on them. EA themselves openly stated that all loot boxes are gambling. At least with a huge proviso that their loot boxes in ‘Ultimate Team’ modes weren’t gambling because they will be revealing the exact odds of each item. Also because their items cannot be traded for real money, at least not legally anyway. These odds have, apparently, been in place ever since crates were introduced to Rocket League in September 2016. Each and every crate, and crate series are subject to this same odds table. However, it’s a simplistic way of looking at the odds of actually receiving a specific item as there is a three-step process to the crates. When you open a Crate with a Key or Decryptor, the system first determines what rarity level to choose from — Rare, Very Rare, Import, Exotic or Black Market — based on the percentages listed above. Next, the system determines which item within that rarity group is dropped. If you’re receiving an Import-level Customization Item from the Impact Crate, for example, each of the three Import items in the Impact Crate have an equal chance of dropping. Finally, the system determines if the item will drop with Painted and/or Certified attributes. Psyonix, with Rocket League, aren’t the first to reveal such information. Or at least not the first to promise such a reveal. As stated, EA revealed that FIFA 19, with the Fifa Ultimate Team mode, would also reveal the odds within the packs. These will be shown much the same way that Psyonix have done here, not actually giving the odds of receiving a specific player or consumable. It’s a start, but certainly can be improved on. I may be being cynical here, but I see this as more of a PR push than anything else. Revealing such information now helps to somewhat mitigate the fact that Rocket League will soon be double, even triple-dipping into the consumers pocket. While I don’t have an inherent problem with these battle pass clones, it’s the fact that these games are doing every money-making scheme simultaneously. All while still being titles that you have to buy from a store. That’s the problem and also why Fortnite doesn’t need to explain itself. 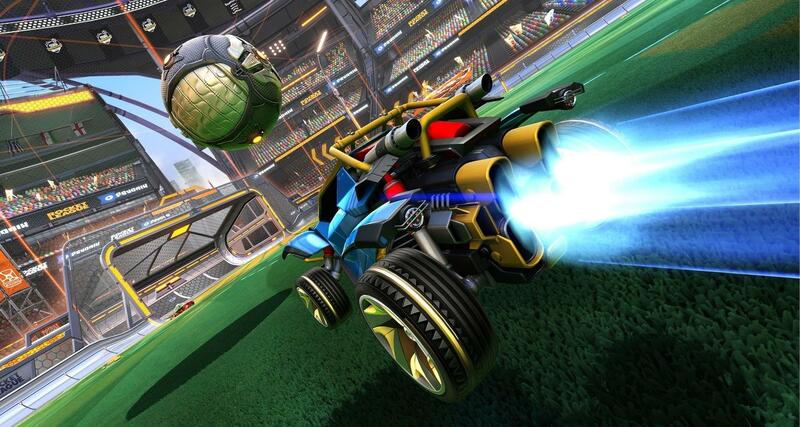 Psyonix could certainly afford to make Rocket League free to play now, most people have likely bought it multiple times already. Rocket League is a fantastic game, I’ll never argue against that. I’m, simply, bad at it but I can’t help but enjoy the insanity that takes place in any given match. However, with the use of loot boxes and now with the upcoming addition of the Rocket Pass – on top of the fact that you have to buy the game – I can’t help but see the whole thing as anti-consumer. These are my personal thoughts and something I’ve stuck by for a long time. I’m actively opposed to loot boxes that cost real money in every title I play. Still, I’m open to other opinions – what are your thoughts on the matter?